Love. A word that comes and goes but few people really know what it means to really love something. I have fallen in love (and not that superficial kind of love you have for your clothing or a book) but a real honest-to-GOD love. I remember the first moment it happened. It was when I pressed play and a mysterious figure came on my TV screen and walked me through the land of imagination. 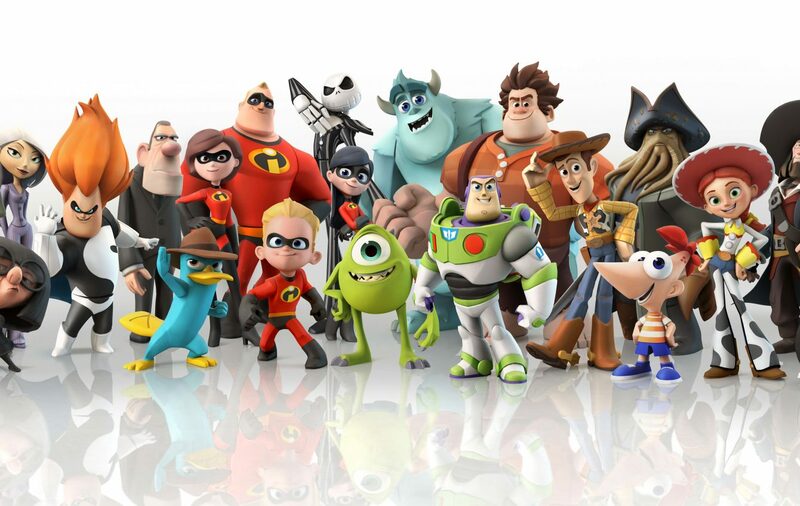 It called itself creativity but it’s universally known as Disney Infinity. That’s right: I am a proud adult in love with a game marketed towards children. I know our love isn’t right, there are other games out there that are age appropriate but I can’t help the type of game I fall in love with. After my experience with Disney Infinity, I can’t change, even if I tried, even if I wanted to. First off this game is more than just a “game.” I like to call it an interactive experience that brings out your inner child as it whisks you away to a land of imagination. Too much? Okay I’ll start off slow. This is an action adventure game with physical toys that you can purchase in a starter pack or separately (round of applause goes to Disney and that marketing team getting their money). 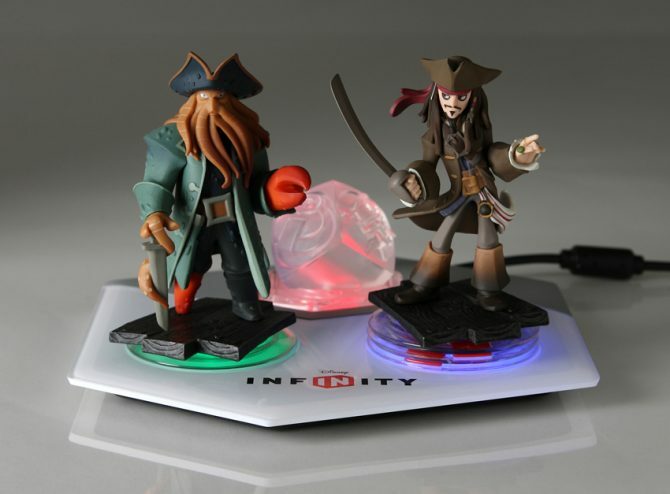 The physical characters, play-sets and other multitude of features are brought into the game using the included Infinity Base. Each character you get has its own separate world, levels and attacks. 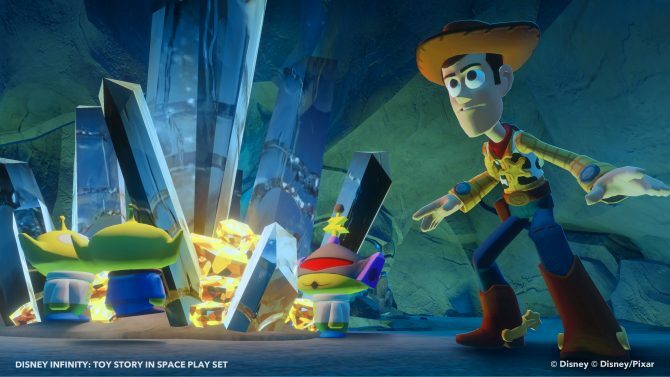 Characters from one word cannot enter into another world but players can put any characters together in Toy Box mode which is a sandbox mode that players can fully customize and explore. Like I said, marketing genius. There are so many wonderful and beautiful things to say about Infinity I should just start at the beginning. I am a massive fan of art; I love color, structure, texture and just the simple fact that I can tell when painstaking hours went into each detail. I will play an extremely crappy game just so I can marvel at the beautiful design behind the game and Infinity is the best of both worlds; fun and beautiful. Unlike many games of the past, Infinity allows you to interact with the world as if you’re creating it. Every choice you make and step you take is created by you or what the game likes to call “your imagination.” A splash of paint here, a tree there, a river over there is beautifully narrated like a classic Disney movie. You feel from the very beginning like you’re a part of the story. This is hands down the best game Disney has ever made. Yup I said it, and I dare you to tell me otherwise. Even though this is marketed towards children you may think this would be a simple two to three hour game. Solve this mystery here, defeat the bad guy there, and rescue the damsel there. While it is a children’s game, this is not an over in a blink of an eye kind of game. 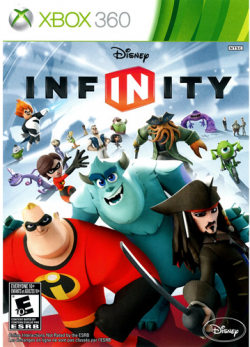 When you play this game, you are experiencing the whole Disney/Pixar catalogue of properties it owns; from their live-action games to the animate classics. You will see Bambi, Cinderella, Aladdin, Snow White, Fantasia, Finding Nemo, Alice in Wonderland and many more. 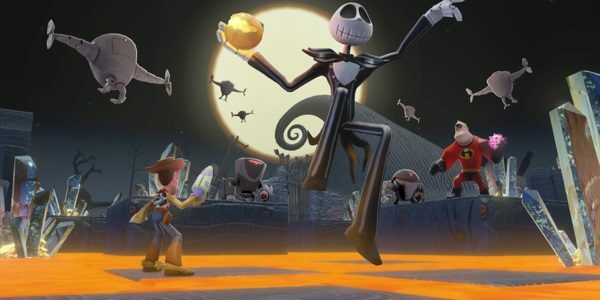 You will be interacting with all their accessories from pumpkin carriages to artifacts to the characters’ hair, styling and setting; everything you’ve ever loved about Disney/Pixar is in this game, even things you cannot remember. There is no end in sight with this game. Say goodbye to your life because from the minute you press play it is all over. The addictive fun begins. I know what you must be saying, “Dana, are random characters and settings being thrown at you? Does anything make sense?” To both questions I answer a resounding yes. This is what I admire most about the game; everything makes sense and it is nearly impossible for you to be confused by it all. This game was made for children so each action and setting is explained to you carefully, even repeatedly if needed. Infinity is made up of two elements: Toy Box and Play Sets. Play Sets are theme-based adventures for players to explore, either alone, with a split-screen companion or with up to three other players online for a more interactive experience. To play, you simply place the special interactive plastic cube on the Base. 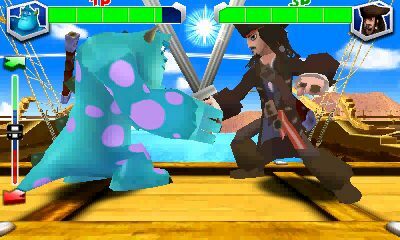 The Starter Pack will include Sully from Monsters University, Captain Jack Sparrow from Pirates of the Caribbean and Mr. Incredible from The Incredibles. Just like Skylanders, you’ll have to place the matching Infinity character figurines on the base. The figurines, while they are fun to play with, stores all of the levels and tools you’ve earned so make sure you keep them in good condition. As tempting as it may be they are not meant for physical play. Now for the fun stuff and, trust me, this game never has a shortage of fun. The adventures are 3D platformers but they are extremely different from one another. Each world plays differently, it feels different, it looks different, even the tone is different. However, each and every world is an expansive free-roaming environment filled with hours of missions, side missions and extra goodies to play. The best way to describe the look is to compare it to a Pixar movie, from the way the buildings, objects and random items that can be placed in the world, to editing the look of the buildings and the little block-sized people that merrily bounce up and down the streets. All three of the starter characters are controlled the same as well: they can interact with the environment by picking up and throwing items and other characters, use all vehicles and can double jump onto platforms nearby. I can go on and on about my love for each and every level of the game; from the side missions to the action to even unlocking the various toys and incidental items scattered around the Disney Universe. Breathe, I won’t. 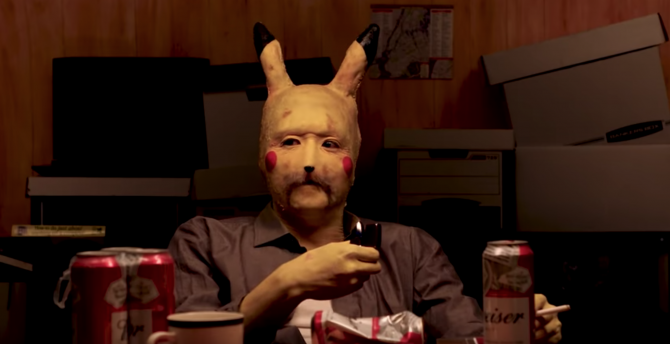 You have games to play, a life to lead and I will just get to the good stuff. Out of three different worlds (and hands down my favorite world) is Pirates of the Caribbean. This took me by surprise. Quite frankly I wasn’t a huge fan of the movies and all that bobbing up and down like a lost doe-eyed chicken on a boat is not appeasing to me but you can slap me silly because I take back all that nonsense. As you all now know I had fun just pressing start on Infinity, however this was like reliving the most exciting moment of your childhood. I had fun–smiling, giggling, laidback all-is-right-in-the-world kind of fun; much like the innocence of a child. You start off bobbing in the wind as you sail The Black Pearl exploring the open waters, where all is right in the world. 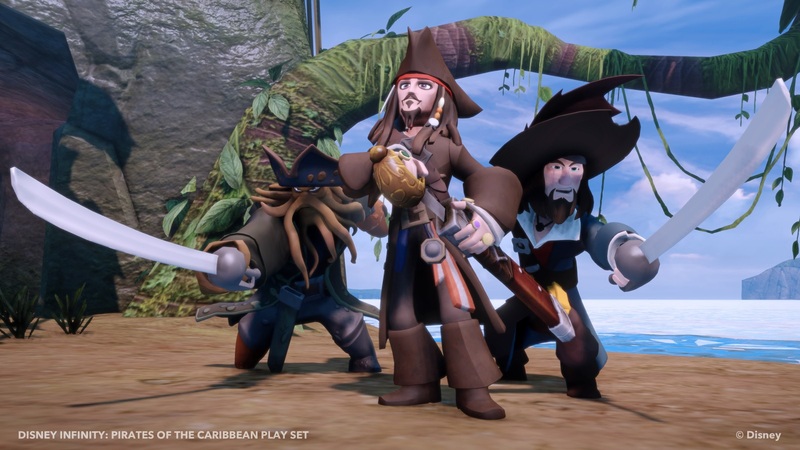 As you sail the high seas and between the gorgeous Pixar-like islands you get a tingling feeling that swashbuckling is growing near and surrounded in the openness of this environment you’re itching to swashbuckle someone. Just then you stop off at one of the various locales and engage in ship-to-ship combat that is, I dare say, more fun than an Assassin’s Creed mission. Yes I said it. I’ll go even further and state this world would be perfect as just a stand-alone–just add some more features and extend the gameplay. I enjoyed swashing and shooting and all the action I partook in. 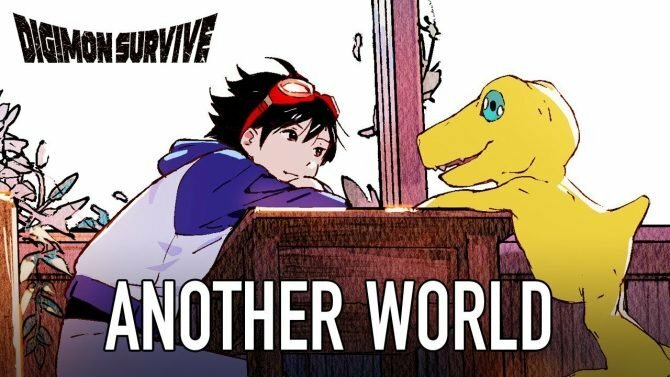 While I did love this game (and I do mean LOVE this game), I was not a fan of all worlds. One of my least favorite is Monster’s University, which I was rather depressed about partially because I couldn’t understand how the fine creators of this game could go so terribly wrong. It’s like they didn’t even try. The world, as beautiful and filled with so many warm memories from the movies as it is, is repetitive for no reason whatsoever. Unlike the fun combat you’ll face in Pirates or even with The Incredibles, this is a game of sneaking and diving avoid being seen by other members of MU, as you’re on clean-up duty in the middle of prank season armed with a toilet-paper launcher as you avoid being caught by various students. While I enjoyed it the first couple of minutes I grew leery and no longer cared to dodge, duck, dip, dive, and dodge so I wouldn’t be seen. A massive pet-peeve I had with the game had nothing to do with the gameplay nor the characters or even the design. Disney Infinity is a game created by Disney Pixar and no matter what you did they made sure you would never forget it either. This game is a walking, living, breathing advertisement. There are commercials reminding you of all the game piece you don’t have but can physically buy in stores, all the Disney trips you can take and every single Disney DVD you could own. While this is marketing genius to children, it’s distracting and really kind of rude. You’re playing a game, there’s no need to have commercials in the middle of gameplay. It was literally as if you were stepping into Wall-E. Remember the message there, commercialism is bad. Well apparently no one was watching that movie when the game was made but you can buy the Wall-E power disk for Infinity or the DVD at a low-low price. 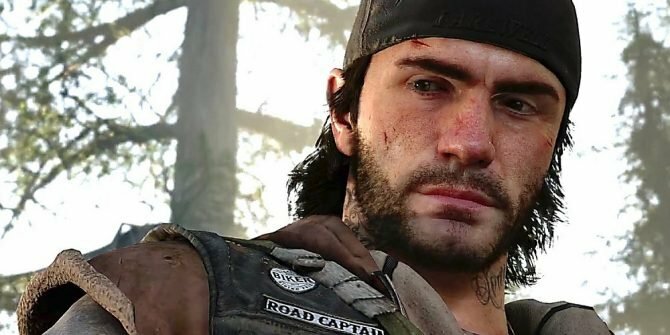 Despite being force-feed commercialism, this game for now is hands-down game of the year. I said for now, so breathe. 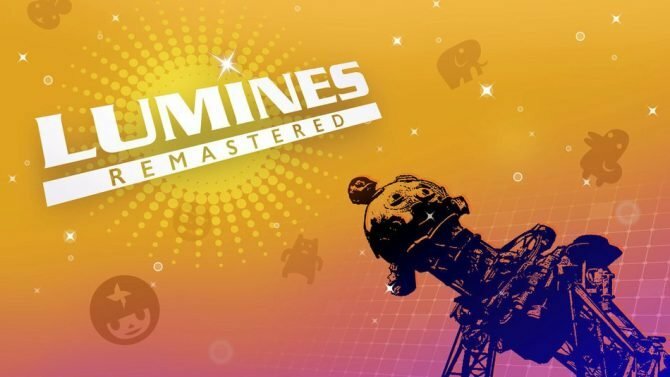 This is one of the most creatively interactive games I have ever played, especially when you engage in the Toy Box mode, which welcomes all kinds of gameplay and customizable worlds; racetracks sets and spinning platforms to challenging online friends or AI enemies at the ready for impromptu battles to castles and mountains and even ship wrecks. 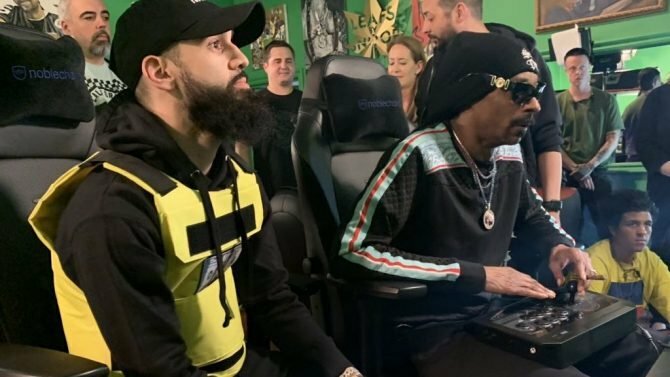 Every step and moment I was involved with this game, I wanted to play this game. I couldn’t believe the fun I was having. 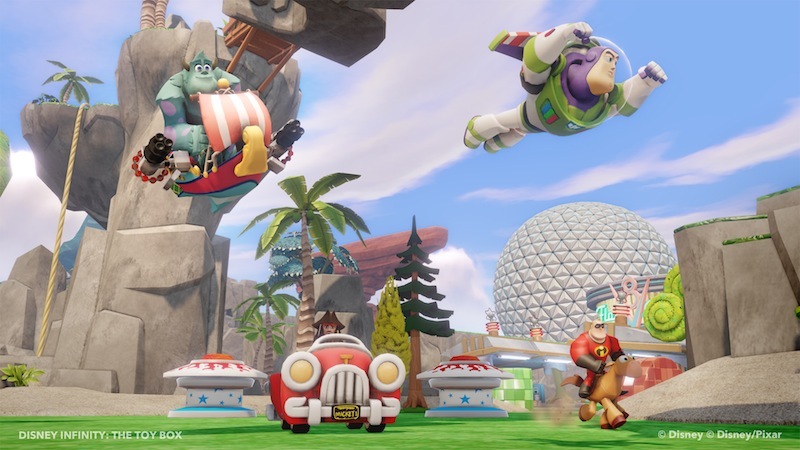 Disney Infinity is actually what the title suggests, infinite amounts of pure Disney joy and I couldn’t have been more impressed and more excited that finally there is a game the lives up to its name.